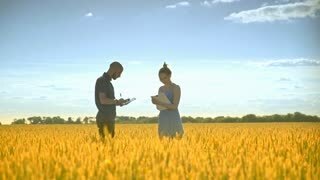 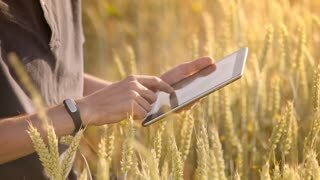 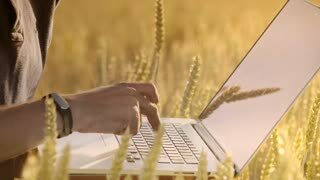 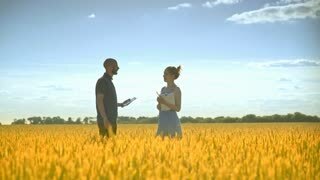 Young farmer with tablet in a field. 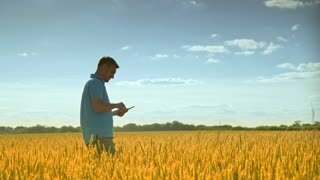 Agriculture technology. 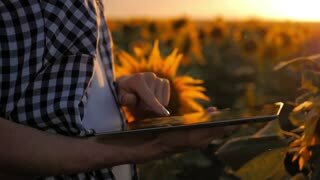 Farmer girl typing on the tablet into the sunflower field plantation.